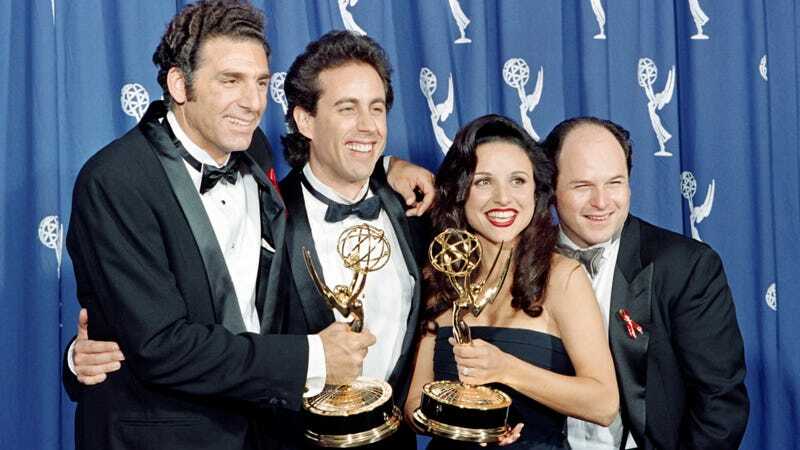 The 20th anniversary of Seinfeld’s divisive finale has inspired no shortage of essays and analyses, with authors examining the show’s impact through any number of subjective means. Enter writer Andrew Thompson and designer Tri Vo, who instead sought to see what we could learn from the hard data. The duo scooped up all 173 of the series’ scripts and broke down their findings in a number of interactive charts, an appropriately scrupulous task for a show so concerned with life’s little annoyances. The results are rather fascinating, serving as a reminder that characters and catchphrases that loom so large in the cultural zeitgeist actually had a very small imprint on the show itself. Wayne Knight’s Newman, for example, is considered a Seinfeld staple, but he wasn’t nearly as much as you probably remember him. On a series of charts detailing who each character speaks to the most, Newman’s barely a blip on the scale for Jerry and Kramer, and nonexistent for the other major characters. And that particular nugget speaks to a larger truth about Seinfeld, that it did a lot with very little. Its myriad phrases, for example—“sponge-worthy,” “not that there’s anything wrong with that,” “shrinkage”—permeated culture without exhausting themselves. The data shows that many of them were only uttered a handful of times, and rarely went beyond a single episode. Compare this with the likes of Steve Urkel, who couldn’t enter a scene without asking for some cheese or inquiring as to whether or not he did that. View the entire breakdown over at Ceros.